Any enterprise architects worth their salt can tell you how strategic enterprise architecture (EA) is, but the fact is that most EA programs struggle. The problem? Getting the enterprise to act strategically in the face of the need for immediate results in firms moving at a breakneck pace. It takes leadership and single-mindedness to attain the customer-obsessed business model: being customer-led, insights-driven, fast, and connected. 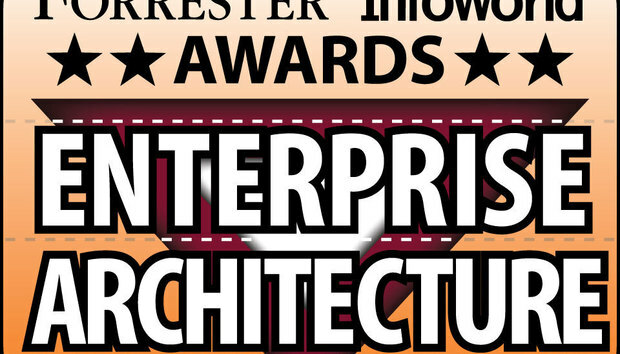 The winners of the 2017 Forrester/InfoWorld Enterprise Architecture Awards did just that; they exemplify how to achieve meaningful business impact while pursuing the EA agenda. Our winners this year each has a compelling story of EA best practices, as described on the following pages. How do we pick the winners? Forrester’s EA analysts performed the first round of vetting, and then 2016’s Enterprise Architecture Award winners acted as final judges and voted for the teams they believed had the most impact on moving their businesses forward. Note that the judges did not know which companies they were judging; that information was removed from the entries they reviewed. Congratulations to all the winners! You can read their stories on the following pages. ABN AMRO must rapidly change existing business models into a digital-savvy and regulatory-compliant ecosystem to become customer obsessed while keeping up with regulations. Like many companies, ABN AMRO adopted an agile way of working to transform its business. This enables a fast and effective response to external drivers. Business and IT jointly focus on minimal viable products (MVPs) rather than individual features or technicalities. However, it is almost impossible for the business to know whether all these individual MVPs still add up and help moving the bank into the right direction. Furthermore, given the complex world, both within and outside the bank, strategic decision-making has become a real challenge. There is a clear business need for clarity and transparency with regards to the impact of trends like customer centricity, financial technology (fintech), technical, and regulatory developments. To address the challenges, the EA community of ABN AMRO set out to reinvent itself, focusing on delivering business-oriented artifacts describing tomorrow’s agile and data-driven foundation. The main focus in these two years was on people and culture: changing the architecture governance; executing on a new approach to architecture development, and developing a new communication style. The chief enterprise architect reports directly to an executive board member. Additionally, the chief architect was also made the chief data officer (the department is called CADM). In an increasingly digital and thus data-savvy world, the combination of data management and enterprise architecture in one team helps enormously to support strategic portfolio decisions and to codevelop high-level strategic themes. The overall benefit was the actual enabling of informed decisions and translation of strategy into executable plans. Already, the executive board has provided positive feedback on the usability of the architectural artifacts. An annual survey among key decision makers at the bank shows that EAs are seen as trusted partners. During the third quarter of 2016 the decision was announced to merge two banks in the United Arab Emirates to become the National Bank of Abu Dhabi, the largest bank in the region. As a result, one major architectural reference model became the livewire of the merger activities. The potential target date for the completion of all preparatory work was April 1, 2017. The merge involved two organizations, with complex capabilities and multiple lines of business (retail, corporate, and investment banking) serving multiple jurisdictions. Keep in mind that merging two organizations, each with its own culture, is no simple task. For this requirement, EA played a fundamental role as part of the integration committee by introducing a customized banking, financial services, and insurance (BFSI) taxonomy model. Ensuring that business alignment remains a primary objective, it developed a comprehensive capability map for both banks to manage the classification of information in both environments by creating a complete capability inventory (for business and technology). This would further enhance the quantification method to be used to measure the fit of the various subject areas. The constrained timings required from EA an agile and expedited approach for both organizations to start shaping the Day 1 requirements, as well as the interim and target scenarios. The interim state and a detailed target state architecture were based on scenario analysis from validating a target merged business organization introduced by the governing board of the new organization. EA expedited the submission of the deliverables on both sides, as well as with the consultants working on the integration of the two banks. In less than four months, the EA team identified business capabilities at each bank, compared them in various dimensions (such as products, processes, functional, and nonfunctional), conducted a gap analysis, analyzed various scenarios and used them to validate a hypothesis, defined target architecture, created synergies, and provided detailed impact analysis of the various systems, applications, and processes. RasGas is one of the world’s premier integrated liquefied natural gas (LNG) enterprises. It faced the need to Increase synergy between IT and business, improve alignment of IT Initiatives to corporate strategy and business goals, and cost optimization/efficiency through cost-effective IT solutions and Integrated business functions. It also wanted to minimize shadow IT, as well as move away from redundant IT solutions and obsolete legacy systems. EA started by addressing these needs with zero resources. The EAs approached technology leads to gather their pain-points. EA resolved the infrastructure team’s first pain point: lack of an integrated repository for annual corporate finance asset verification processes. This success triggered other business technology leads to approach EA for support, resulting in development of holistic IT artifacts such as reference architecture, technical evaluation criteria, and total cost of ownership. The EA team has now scaled from being an IT unit to a corporate/enterprise function. It provides an integrated view of strategic business and technology domains across lines of business, services, and systems. That was the key to optimizing project capabilities and resource utilization. EA is the only management best practice that serves as a context for enterprise-wide planning and decision making. IT and executive leadership have seen the value of the EA program in promoting outcomes, so it expanded the EA organization as the empowered authority to approve business solution requests and stewardship of strategic planning through short-term objectives, annual business plan, five-year strategy, and technology roadmap. In 2012, the president of World Bank Group (WBG) set two ambitious goals for WBG: to end extreme poverty, and to boost shared prosperity in a sustainable manner by 2030. In that context, WBG underwent a massive transformation from being a “knowledge bank” to being the “solutions bank.” As the “solutions bank,” WBG aimed to support every investment project manager with all the financial, knowledge, and convening resources at its disposal to tackle the world’s most pressing development challenges. WBG’s Information and Technology Solutions (ITS) department re-envisioned its role as an enabler for WBG to achieve its mission by delivering transformative information and technologies to the clients. IT had operated as a federated organization, with individual IT departments supporting business organizations in siloed fashion, building point solutions with little integration and with little consideration for interdependencies with other solutions or for cross-organizational use. Emerging technologies were deployed in a piecemeal manner, lacking an integrated rollout roadmap approach. ITS recognized that not only solutions but also culture and people were critical success factors to achieve its new mission. Recognizing that EA was not only a tool for IT transformation, but also for cultural transformation, ITS’s EA group defined its mandate to partner with business and IT stakeholders to ensure that the WBG’s IT landscape remains cohesive, so ITS can respond quickly and effectively to business-driven changes. EA adopted innovative approaches and stakeholder engagement models to meet the mandate while becoming a culture change agent. It brought in design studio workshops, adopted from the design-thinking methodology, bringing user-centric design to the forefront of the solutions and addressing users’ needs rather than business sponsors’ wishes. EA has now created a platform for dialog, learning, deliberation, and cooperation in WBG. Those efforts have led to a new culture of innovation, agility, and camaraderie. EA earned the credibility and trust of its stakeholders by bringing quality and analytical rigor, and by making complex topics simple to understand with innovative information visualization. In 2015, XL acquired Catlin and created XL Catlin, a global property and casualty insurance and reinsurance company with a $12 billion market cap. The immediate priority was the rapid integration of the business models, systems, and IT infrastructure while reducing costs by $200 million. To enable this, XL Catlin’s EA team was tasked with rapidly defining and driving the target application landscape. EA needed to build its own target operating model to ensure it was effectively collaborating on architecturally significant priorities, ensuring alignment with the target architecture wherever possible. When a priority didn’t align, EA needed to ensure that the architectural debt was managed with the business. The goal of EA at XL Catlin is to enable the business to achieve their growth plans by managing strategic roadmaps and ensuring the implications of decisions taken in the short term are understood. To accomplish this goal, EA is active partners in the development of the business and technology strategy. It is responsible for defining target architectures for infrastructure, business, data, and IT applications, as well as their integration. As the new business strategy began to mature, the EA team also needed to define where new technologies would enable the business to drive efficiencies and create a competitive advantage. It did this through close partnerships with XL Catlin’s digital and innovation teams. Using a design-thinking approach, it prioritized several business areas where it could learn about new technologies and develop business cases where blockchain, artificial intelligence, robotic process automation, internet of things, and other emerging technologies could benefit XL Catlin. Savings targets for the requested $200 million were identified through the XL and Catlin integration in early 2015, with the majority being delivered via IT cost savings. XL Catlin has surpassed this goal and expects that it will achieve about $500 million in savings will be achieved by 2018 compared to 2015’s pre-merger combined baseline expenses of about $2.3 billion. Stakeholders support the value of EA, and EA now represents the business as trusted advisors in industry initiatives, like the B3i consortium (the Blockchain Insurance Industry Initiative, whose 15 members focus on exploring the potential use of distributed ledger technology), and is actively engaged in supporting due diligence for early-stage insurance technology (insuretech) investments, working with XL Catlin’s VC partner XL Innovate.